Transformer was released in 1972, and The Runaways formed about three years later. 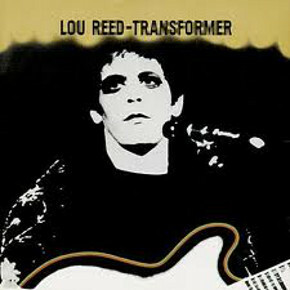 Joan got to sing Lou’s words when The Runaways covered The Velvet Underground’s “Rock and Roll” on their first self-titled album in 1976. Cherie Currie sang the Live in Japan version. Both Joan and Lou were photographed for the “Legends of Punk” feature in V Magazine earlier this year. It was the last magazine Lou sat for. Joan Jett and the Blackhearts performed “Rock and Roll” on November 1st as a tribute to Lou in Tulsa, OK.
My life was also saved by Rock and Roll–Joan Jett’s brand specifically. Thank you, Mr. Reed. Lou’s family, friends, and all of his incredible fans have my deepest condolences. This entry was posted in Essays, Videos and tagged Cherie Currie, Joan Jett, Lou Reed, Rock and Roll, The Runaways. Bookmark the permalink. AMAZING video of Joan singing Rock and Roll Friday night, I hope she keeps singing that one – AWESOME JOAN. Great tribute!